Deliver a product on par with the best crepes Brittany has to offer while taking advantage of the bounty of Southern California’s farm fresh produce and diversity. 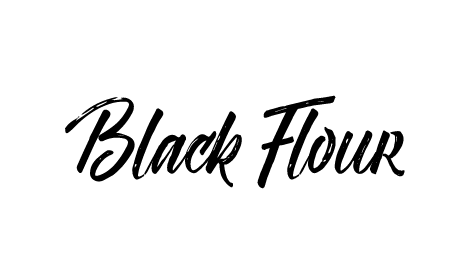 Black Flour is a gourmet food truck focusing on bringing the traditional buckwheat crêpes of French Brittany out of its folkloristic world of berets and Eiffel tower posters to California in a modern setting focusing on locally sourced ingredients. The menu has an array of classic recipes of Brittany, as well as some exciting variations inspired by Los Angeles’ wide ranging and eclectic pallet. As with any authentic French creperie, Black Flour makes savory crêpes (also called “galettes”) and sweet crepes. The savory crepes are made with organic, naturally gluten-free buckwheat batter, combined with locally sourced ingredients. The sweet, or dessert crêpes are made with organic wheat flour and egg batter, and topped with delicious home-made items such as orange marmalade, sea salt caramel and Valrhona chocolate sauce.